Well, I did it. I successfully (I hope) survived my first year hosting a reading challenge. I’m actually really proud of myself. So proud in fact, I’m doing it again. 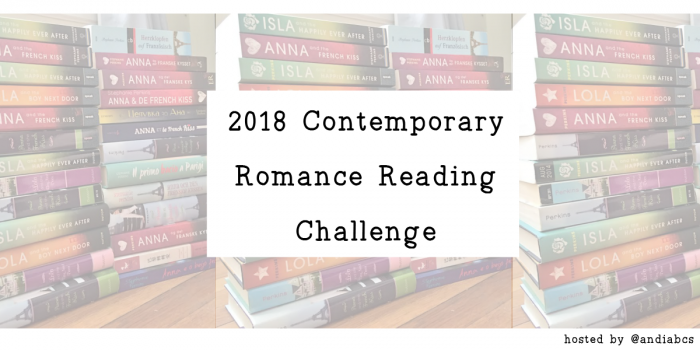 That’s right, Andi’s ABCs is hosting the Contemporary Romance Reading Challenge for 2018! 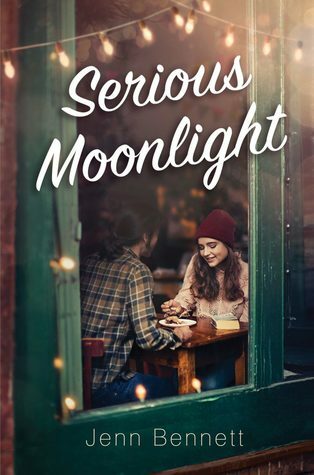 The Contemporary Romance Reading Challenge was originally created and hosted by Pearl’s World of Romance, passed on to Fatin at Romance Book Maven, then passed on to Brianna at The Book Vixen, Then it was Gone with the Words and Love at First Page‘s turn. and is now hosted by Andi’s ABCs. Runs January 1, 2018 – December 31, 2018 (books read prior to 1/1/2018 do not count towards the challenge). You can join anytime you want, though the sign up linky will close Nov. 15, 2018. Use the hashtag #ContRom2018 when posting your reviews/updates/re-caps/monthly topics on social media. To join this challenge, grab the 2018 Contemporary Romance Reading Challenge button below and post this reading challenge on your blog to track your progress. Please include a link back to this sign-up post so others can join the reading challenge too. This will be your “update post” when doing the monthly link up. You do not have to be a book blogger to participate; you can track your progress on Goodreads, LibraryThing, BookLikes, etc., so as long as you have a dedicated shelf for the 2018 Contemporary Romance Reading Challenge (your designated “update post” for the monthly link up) and your profile is not private. The point of linking up is to have a place where people can see what you’re reading. If you have any questions, please email me (accessoriesbooksclothes@gmail.com) . Also, make sure you follow me on Twitter (@andiabcs) for challenge updates and reminders! Don’t forget to use the hashtag #ContRom2018 to follow everyone’s challenge updates on Twitter! I’m in. I’ll try for at least the first level. 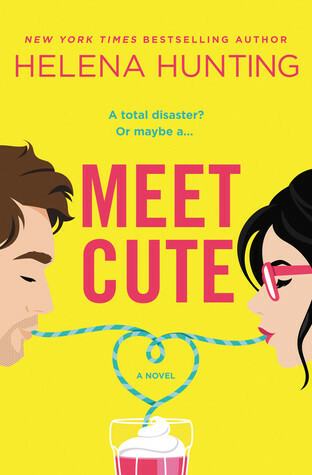 I love reading contemporary romance, so I’m in 🙂 Thanks for hosting, Andi! 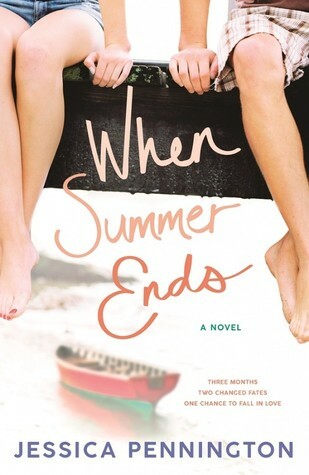 This is my first year signing up, but I absolutely love Contemporary Romance. So this sounded like the perfect challenge for me. Thank you so much for hosting! Alright, I’m gonna aim for the grand slam again this year! it’ll push me to get more contemps read!